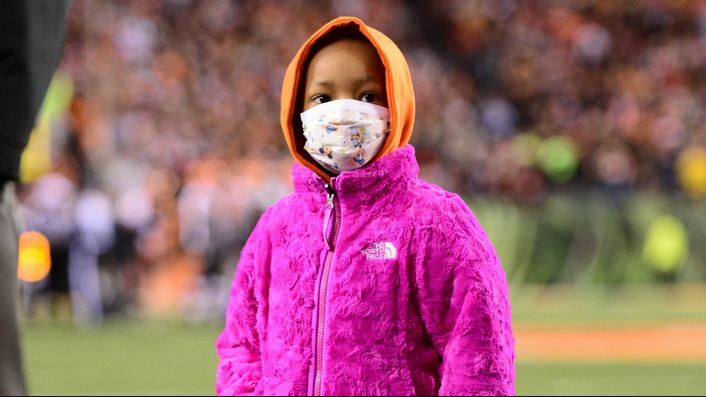 Leah Still, daughter of Devon Still, the defensive tackle of Cincinnati Bengals, continues to fight cancer. Devon Still wrote a message to his followers on Instagram updating them on the condition of his four years old daughter in her war with cancer. The emotional message intended to convey the followers that his daughter’s recent treatment did not help improve her condition. He posted the message on the social media website on Sunday via his Instagram account. In the message, Devon wrote shared his feelings as he heard the disappointing news that his daughter’s cancer was not cured from the treatment. He said that he was so taken in grief that he broke down while conveying the message to his family on Sunday. He further said that he wanted to remain aloof, but at the same time, he showed courage to fight the situation bravely. He acknowledged that blessings do not occur with one’s will but are destined to happen as and when they will. Devon’s daughter, the four-year old Leah, was diagnosed for the first time in June, when doctors found she was suffering from stage 4 neuroblastoma. Later in September, she underwent her first surgery for the removal of a tumor. She went through several sessions of chemotherapy, as well as radiation. Since then, she has been undergoing treatments. Recently, in November, stem cell replacement therapy was conducted on the child. Despite the strong hopes and wishes of Leah’s parent that her tests after the latest therapy showed signs of remission of cancer, she was diagnosed positively again. Leah’s fight with cancer has lured the attention of the entire nation since the start of 2014 NFL season. At the time, Bengals had signed Devon back after previously rejecting him from the roster. The organization’s move also helped the Still family in winning health insurance and funds for Leah’s therapies.